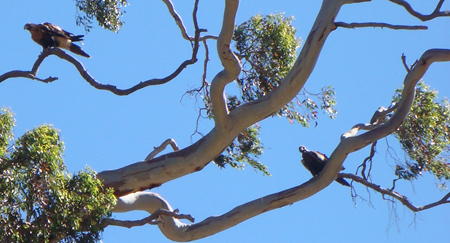 Had a lovely close encounter with two beautiful immense wedge-tailed eagles last week on our property. I was lucky enough to have my camera in the car so I pulled over on the driveway and got some photographs. Being looked down upon by these powerful birds makes you feel pretty small. 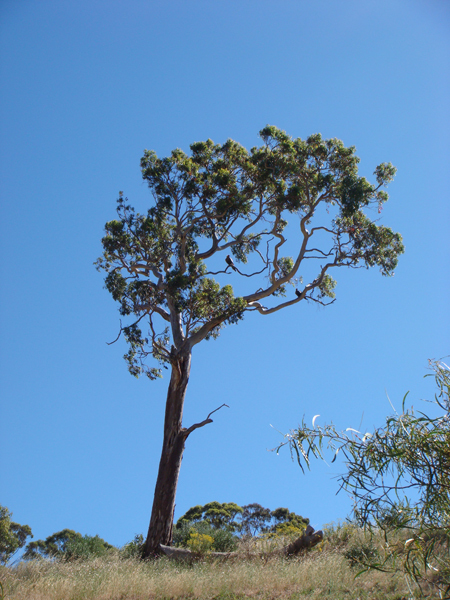 It is hard to judge their scale from these photographs, but when you see them, they are so incredibly large that you can’t help but gasp when watching them soar over the valleys around here. 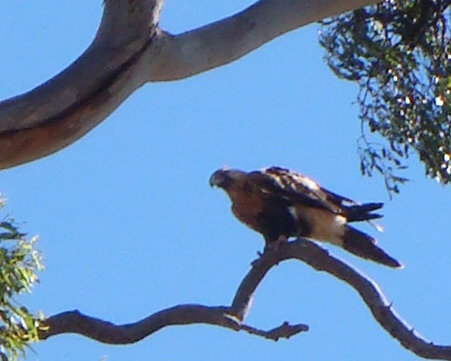 They are the largest bird or prey in Australia and their wing span is up to 2.5 metres and quite rightly, they are a protected species. 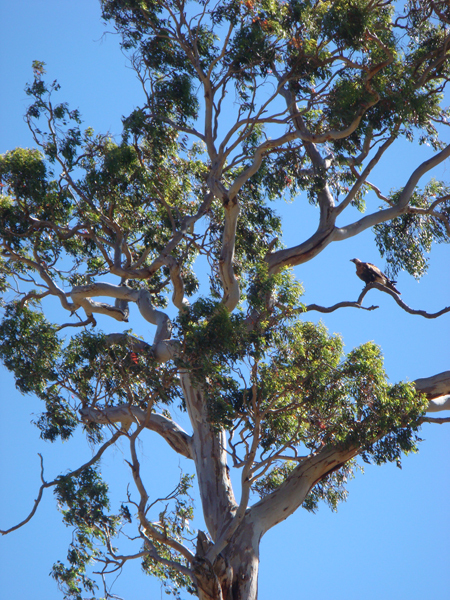 We were lucky enough to be able to watch them from our lounge room window over the weekend.